The clean, white-walled exhibition space, the now-preferred one for displaying art, did not materialize overnight, as Mark Wigley and others show in their histories of exhibition design. Sheetrocked walls with smooth, joint-compounded planes, set inside an old industrial building with clear polyurethane wood floors, exposed beams, and metal straps, can be traced back to the 1980s. One of the first interior spaces to show the power of these minimalist white-walled spaces was likely the Dia Art Foundation at 548 West 22nd Street in Chelsea, New York, designed in 1985. 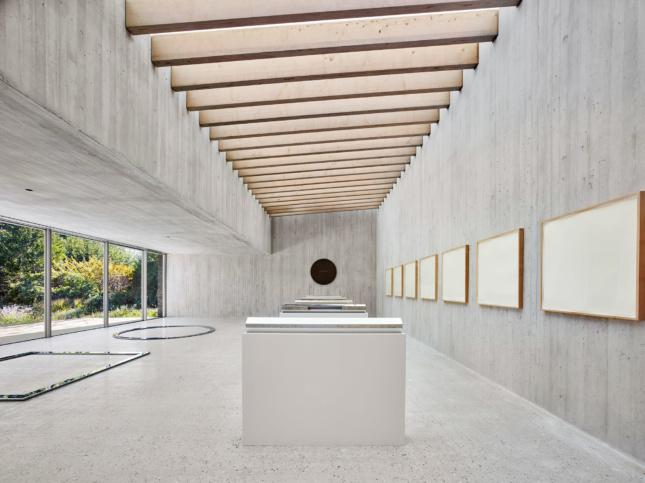 This space was designed by Richard Gluckman, who can—as much as any other architect—be credited with creating spaces influenced by the minimalist art of the period. 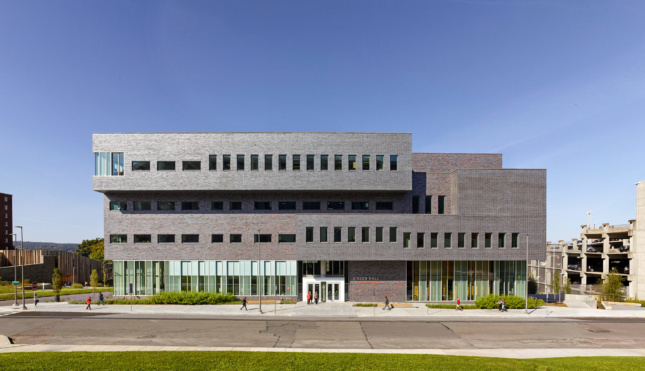 Dineen Hall is a new 200,000-square-foot facility that anchors Syracuse University’s West campus expansion with a distinctive five-story state-of-the-art building for the College of Law. 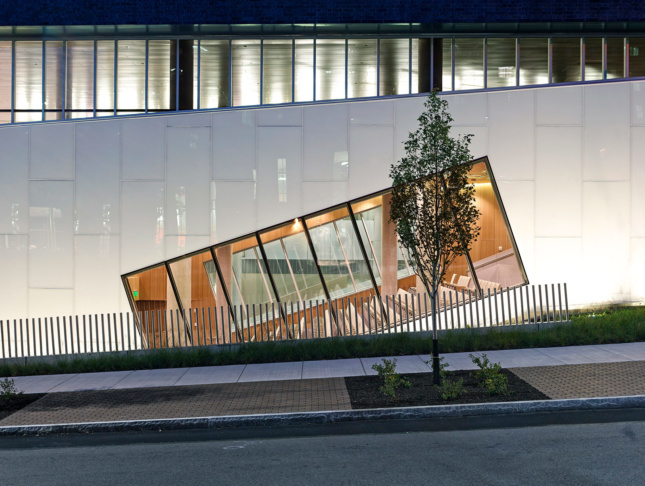 A central atrium at the main level visibly linking the core elements—a library, a celebratory space, a ceremonial courtroom—is positioned beneath a green roof that creates a seasonal outdoor terrace, with the skylit vertical axis introducing natural light throughout the building. The iconic ceremonial courtroom will be visible from inside and outside the building, signifying the law school’s inherent accessibility and transparency. This is the second Gluckman Tang–designed single-artist exhibition structure on this Long Island estate (the firm created the earlier Noguchi Garden Pavilion in 2004). A board-formed concrete interior frames a selection of Walter De Maria works, and is naturally lit by a large skylight and window-wall. A brick exterior references the 1920s garden wall. This facility is a teaching museum that supports research and study of the arts on a campus for Zhejiang University. The contemporary design alludes to various aspects of traditional Chinese architecture and garden design. It brings together three major elements—public exhibition, art study and storage, and academics. The museum’s entry and lobby overlook a garden along a canal to the south. The four-story academic wing has its own entry facing the new campus to the north, and contains the library, auditorium, classrooms, seminar rooms, study centers, conservation lab, and education center.